While at Vassar, Michael Witmore ’89, director of the Folger Shakespeare Library in Washington, DC, took private percussion lessons from Rick Barbour, a Metropolitan Opera timpanist, and considered becoming a professional musician. Witmore reconsidered his career plans when his teacher advised him to find an easy job after college, one that would allow for six hours of practice per day. To a young man with multiple interests, this seemed entirely out of proportion. As it happened, he exchanged one consuming interest for another: the Bard of Avon. An English major, Witmore won the Helen Kate Furness (aka Shakespeare) Prize for his thesis on Othello. “I was really a Shakespeare guy,” he says, in his wood-paneled office a block from the Capitol. Upon graduation, Witmore spent two years in DC, where he played in a band with a Vassar chum and did research for the House Committee on Science, Space, and Technology (and later the National Academy of Sciences). He also worked nights as a Folger Theatre telemarketer, a position that came with the perk of free tickets. But he left Washington for the West Coast, and an academic track, earning a PhD in rhetoric at the University of California, Berkeley. Inspired by a seminar with Shakespeare scholar Stephen Greenblatt (now at Harvard), he wrote his dissertation on chance and accidental events in the Bard’s lifetime. Culture of Accidents: Unexpected Knowledge in Early Modern England became one of five books that Witmore has published. 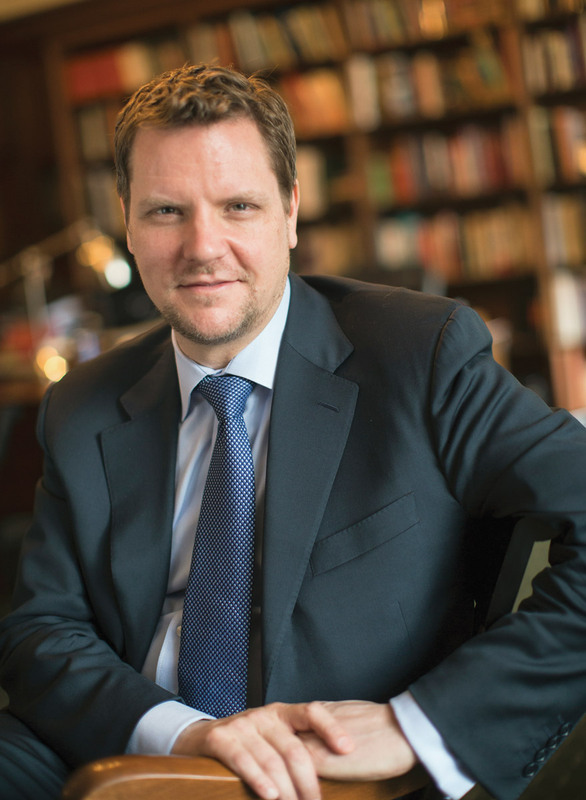 He served as assistant and associate professor of English at Carnegie Mellon University and professor of English at the University of Wisconsin-Madison before taking the helm as the Folger’s seventh president in 2011. Candidates for the directorship were initially allotted 15 minutes to make their case, he recalls. He used his time to make two points: that the Folger’s resources should be electronically accessible, and, even more urgent, that the value of the humanities was no longer obvious to the general public. With a major milestone—the 400th anniversary of William Shakespeare’s death in 1616—looming, he intended to help rectify the latter. Under the banner of “The Wonder of Will,” the library is engaged in a year of extended programming—theater, music, exhibitions, talks, poetry readings, stage combat for kids, and a robust social media campaign (#MySHX400) featuring lots of video. One of the most ambitious “Wonder of Will” projects is the traveling exhibition First Folio! The Book that Gave Us Shakespeare, which will carry a copy of the First Folio—the 1623 compilation of 36 Shakespeare plays, including 18 that would not have otherwise survived—to every state, the District of Columbia, and Puerto Rico. Each site will host special programming. In Duluth, MN, for example, Witmore’s favorite indie rock band, Low, will perform live, accompanying silent film adaptations of The Tempest and A Midsummer Night’s Dream. Two hundred thirty-four copies of the First Folio are known to have survived—one was recently discovered in the library of a manor house on the Scottish Isle of Bute. 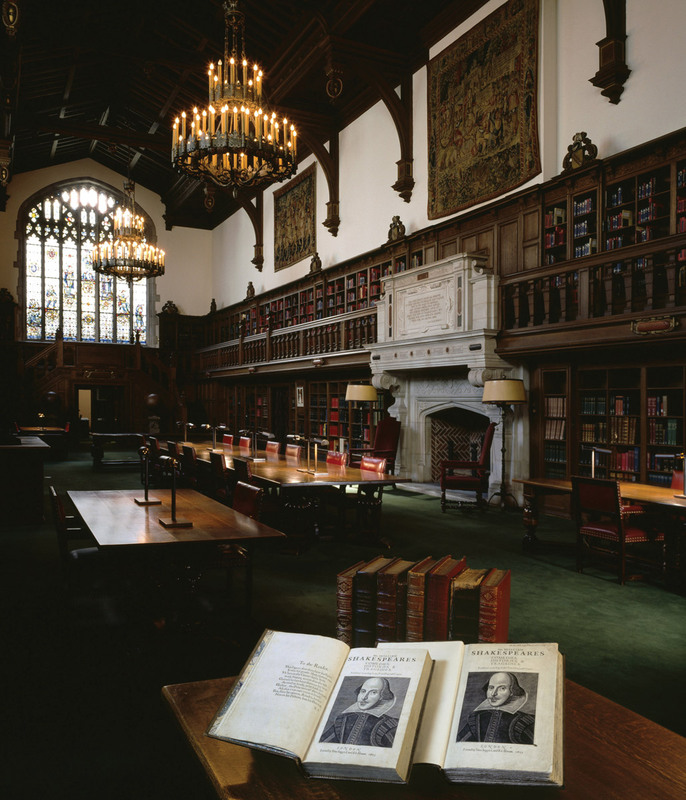 The Folger owns 82 copies, more than reside in all of Great Britain. An insatiable acquirer of these, and much more, was Standard Oil executive Henry Clay Folger, who left his incomparable collection of Shakespeariana, the building to house it, and funds to endow the new institution to his alma mater, Amherst College. But the Folger also has Vassar roots: Folger’s wife, Emily Jordan, had been president of the 36-member class of 1879. In 1896, mentored by Horace Howard Furness, the husband of Helen Kate Furness, she received a master’s degree from Vassar (after completing a thesis on Shakespeare). Emily was an equal partner in building the collection and, raised in Washington, helped make the decision to locate the library there. In fact, her resources assured the library’s completion after her husband’s death in 1930 and his estate’s drop in value due to the stock market crash. The Vassar connection is taken seriously at the Folger. Robert DeMaria Jr., Henry Noble MacCracken Professor of English (and Amherst class of 1970), got his Folger Library card in the 1970s, after joining the Vassar faculty. “Perfect!” said the woman who registered him, upon noting his affiliations. In January, Márkus and DeMaria joined Witmore to deliver remarks to Washington-area alumnae/i who attended the Folger exhibition Shakespeare, Life of an Icon. At the time, DC was in a state of post-blizzard paralysis. That most of the guests made it to the event was “really moving,” says Márkus. The current Folger Great Hall exhibition, on view through July 24, is America’s Shakespeare, which incorporates books, letters, photographs, posters, playbills, costumes, toys, and clips from films—not only Shakespeare productions, but the Romeo-and-Juliet-inspired West Side Story—and episodes of Gilligan’s Island and Moonlighting with Shakespeare-related scenes. A similarly wide-ranging exhibition at the Folger, Here Is a Play Fitted: Four Centuries of Staging Shakespeare, was curated by Vassar Professor of Drama Denise Walen in 2013. (See the Fall 2013 VQ story on the project.) Sifting through the Folger’s wealth of obscure materials, including prompt books (which contain a single character’s lines), was “almost the most fun I’ve ever had as a scholar,” she says. Perhaps Witmore will drop by. After all, it was at Vassar that he became “a Shakespeare guy,” and, he says, it’s where he learned that the humanities are a “sustaining force” for us all. 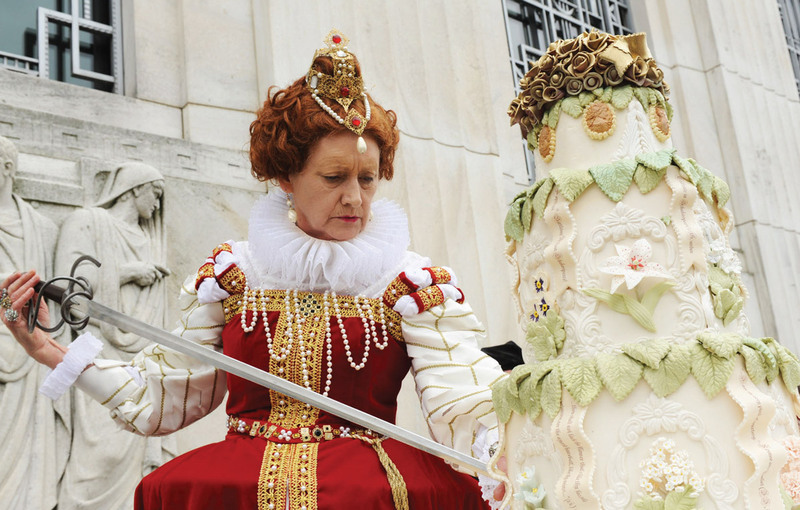 The Folger Library will continue to honor Shakespeare’s extraordinary legacy with special events (such as the party shown above), exhibitions, performances, and more around the country. Visit folger.edu for details. 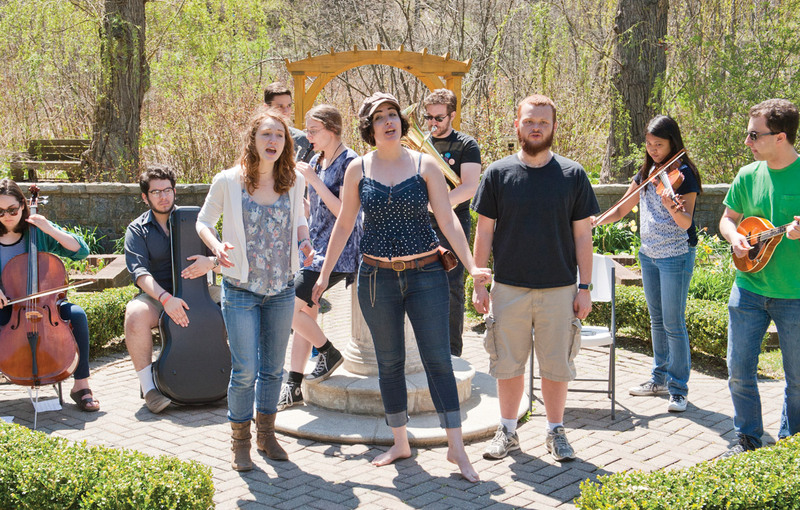 This spring, students in the Shakespeare troupe Merely Players, the early music ensemble Camerata (shown below), and the Barefoot Monkeys celebrated the 100th anniversary of the Shakespeare Garden and the 400th anniversary of Shakespeare’s death during Vassar’s Shakespeare Festival. This fall, campus celebrations continue with a library exhibition showcasing first editions from Vassar’s Archives and Special Collections (including a first folio of Shakespeare’s plays). The exhibition also will provide a look back at Shakespeare in the Vassar curriculum and campus performances of his work. The exhibition catalogue will feature essays by faculty members examining the Bard’s work from multiple perspectives.